Published: Oct 18, 2016 to ? The second year has started! 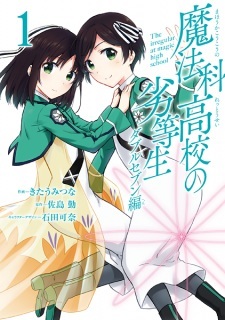 Mikihiko has been promoted to Course 1, Tatsuya has entered the new Magical Engineering Course, and trouble is brewing between Saegusa Mayumi's younger twin sisters and 1st year representative Shippou Takuma, a member of the 18 Assistant House's Shippou Household.